Known as simply as “Joe” to his customers, Anmuth and his brother Marvin held court at 2871 Mission St, making keys and cracking jokes in their trademark blue smocks. Now, instead of classical music and a store crammed with every sort of saw, machine piece, or obscure vintage tool, there’s nothing but empty shelves and a lot of memories. Joseph’s son Michael, who lives in the Sunset District, is getting ready to sell the property. He remembers working at the store during the summer. The business began in 1928 as a shoe-repair shop in the South of Market, run by Anmuth’s grandparents, Mendel and Yetta Anmuth, who were Jewish immigrants from Poland. They later added hardware goods to their inventory. “My grandparents came here for a better life,” Michael says. “They came here after World War I.” Later, after Mendel and Yetta had opened the store, they helped relatives escape the Nazi occupation of Poland. Joseph began working for his parents in the ’40s. The business stayed put until the era of redevelopment changed the South of Market area. Redevelopment, and the construction of BART, moved the Anmuths to the Mission. 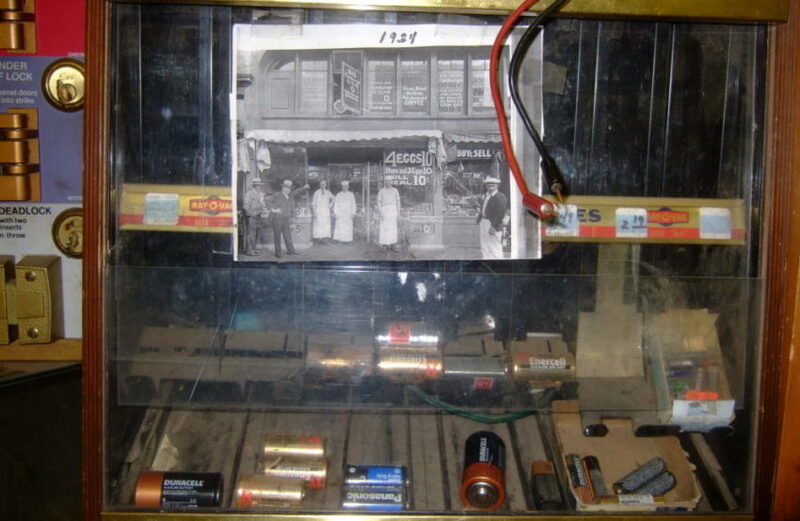 The new store opened in 1972 in the former site of a television and radio repair shop. The hardware store was surrounded by other small businesses, including Dianda’s Italian American pastry company, now the only business still in operation from that time, and 10 vacant buildings. Joseph ran the store with his brother Marvin after the latter retired from his job with United Airlines. Together, the brothers left an indelible stamp on the neighborhood. Adam Lesser, whose grandparents owned Lesser’s Mirror House across the street, had an open tab at the Workingmen’s Headquarters. He remembers the store vividly and the brothers’ comedy routine. The store was famously cluttered, but the brothers knew where everything was. Photo by Elizabeth Bell, December 31, 2016. Joseph worked six days a week, including Thursday nights. The store became legendary for the quality of their key making. 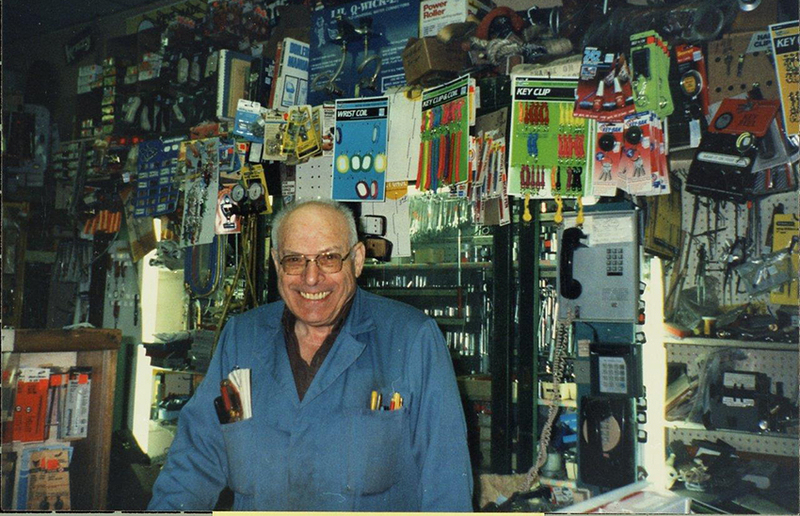 Until the end, the store attracted a wide variety of people: those looking for a key or a hard-to-find vintage tool, or simply the pleasure of talking to two Mission old-timers. The business began to drop off after the big retail hardware stores like Home Depot and, later, Lowe’s, opened on Bayshore. Marvin died in 2008, and Joe worked alone for the next nine years, undaunted by time or age. “Up to the week he passed away, he was still telling stories and planning to get back into the store,” said Michael. 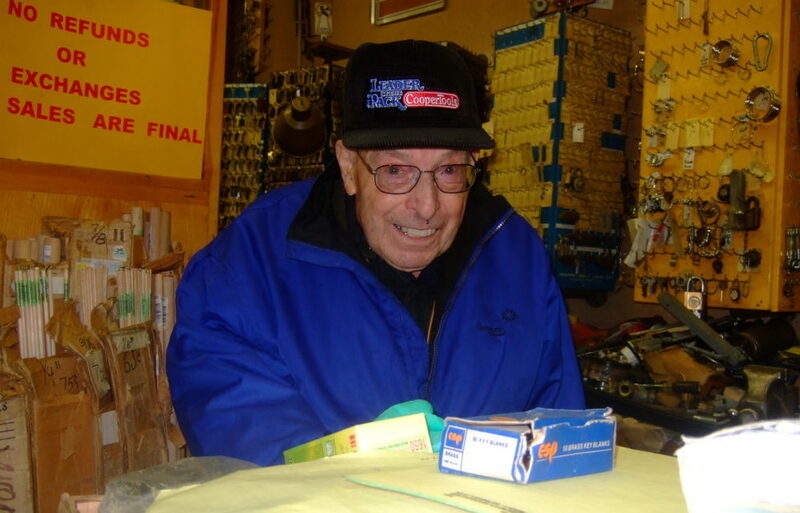 After 2016, Joe Anmuth stopped working daily in his beloved store. He opened once more on New Years’ Eve 2017, and died 10 months later, in November. After that, family members and friends were faced with the gargantuan task of clearing out almost 50 years of accumulated inventory. “Before my dad passed away, he was trying to liquidate stuff,’ Michael said, who inherited some of the vintage tools from his father’s vast collection. He isn’t sure what he’ll do with all of it. “No one wants to buy old tools anymore,” he said. In preparation for sale, the building was finally cleared of its voluminous collection last week. Michael, who used to manage the Heath Ceramics space at the Ferry Building, never planned to continue the family business. After the store is sold, he’s moving to Mexico City. The neighborhood, too, is different from the one Joseph and Marvin moved into, he says. Joe at Workingman’s Headquarters in 1994. From the “Shades of Mission” collection of the San Francisco Public Library. Photo by Elizabeth Bell December 31, 2016. Do you know the part of Harry Potter, when Harry went to get his first wand at Ollivander’s in South Side, Diagon Alley? That was my experience at this store. That was quite a store!!! What a marvelous analogy that is. Thank you. My Grandfathers & Uncle’s Real Estate office is right next door at 2875 Mission! I remember going into that shop as a kid & remember my Dad telling me that Joe took the money to the bank in a paper bag as to not draw attention that there was money in that old brown bag, such fond memories! Kudos to Elizabeth for an excellent story on a beloved Mission District Business. And thanks you for staying on track about only the business and the people involved in your article. There was not a single political comment or any dialog about gentrification or the displacement of people that has been common in Mission Local articles recently. I felt like I was reading a neighborhood paper spotlighting a local business. Very enjoyable. Well done, and yes, those of us that frequented there do miss both Joe and Marvin. Joes son Michael should be proud. I remember them well and bought many large size wrenches there from my refinery days many moons ago. Interesting the part about the grandparents coming to this country for a better life. Think they and their offspring found it? I wonder what they asked of the government and if the decendents could care less about their grandparents native tongue? No doubt these gents became the millionaires next door but I’ll bet they didn’t change one iota and watched the pennies. Poor guys probably should have retired decades ago but couldn’t pull away from their customers. Welcome to America. Thank-you for this story. My condolences to the Anmuth family. I lived around the corner for 11 years and Workingman’s Hardware was where we got our keys made. Joe and Marvin would also give me advice on how to fix something at home and loan me the tool for it. Joe also fixed my son’s stroller for 5 cents one time and made him a paper origami crane and showed him how to make the wings move. 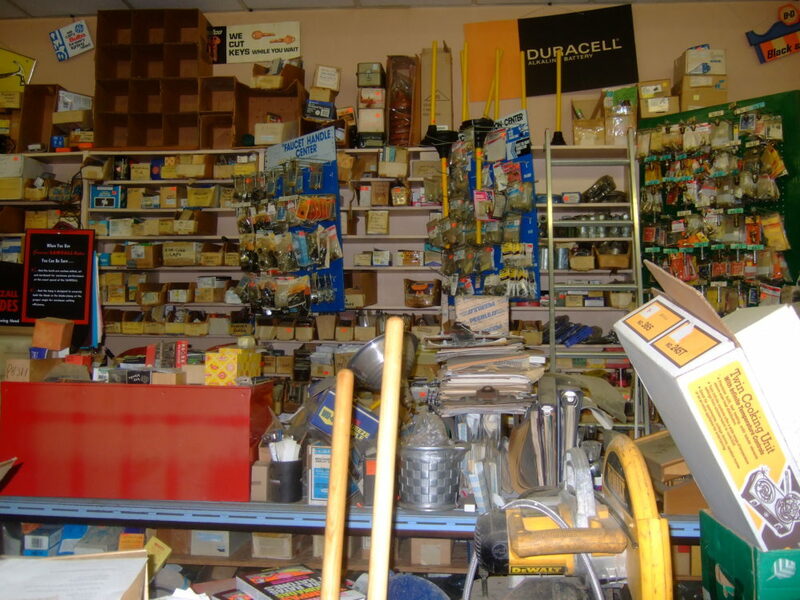 The store was a neighborhood treasure where you always had a surprising experience.